Highway1 has stores in both Auckland and Christchurch but supply anywhere in New Zealand. PlaceMakers have stores, from Kaitaia to Invercargill. 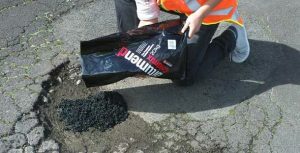 For Bulk Orders - Highroads can supply Coldmix in 1 tonne bags or by the pallet in 20kg bags from Auckland to anywhere in New Zealand.